The events always feature plenty of beautiful cars, games, music by a DJ, carnival rides, a bake sale, raffle baskets, a huge 50/50 winner, all kinds of food, lots and lots of prizes and of course, plenty of lemonade. In the last 8 years, nearly $108,000 has been raised. All proceeds raised directly benefit the Alex’s Lemonade Stand Foundation for Child Cancer. 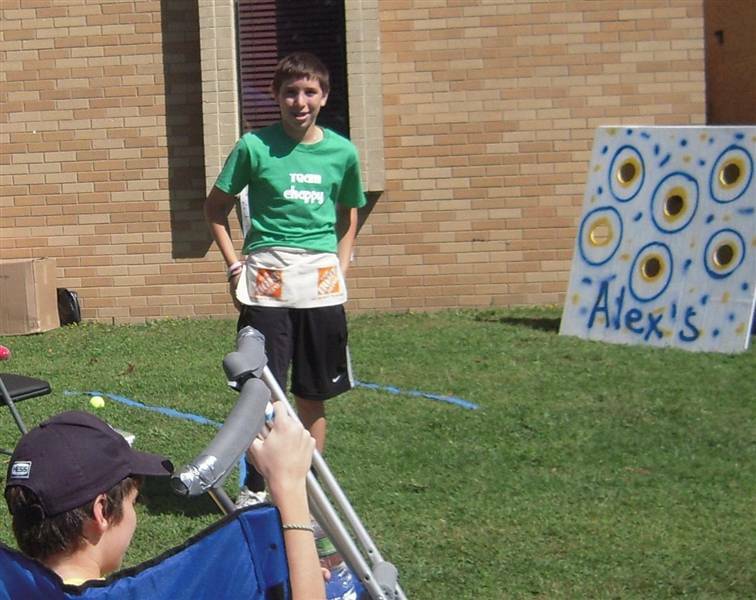 Below are some photos from past Alex's Lemonade Stand events. Best of show winner, Lauren Chelenza enjoys a ride in her favorite car. Fox 29 TV interviews Riley Gillespie as things wrap up. Alex’s Lemonade Stand Foundation, check out AlexsLemonade.org.